Umistrong Pte Ltd has been established for 5 years in Singapore. 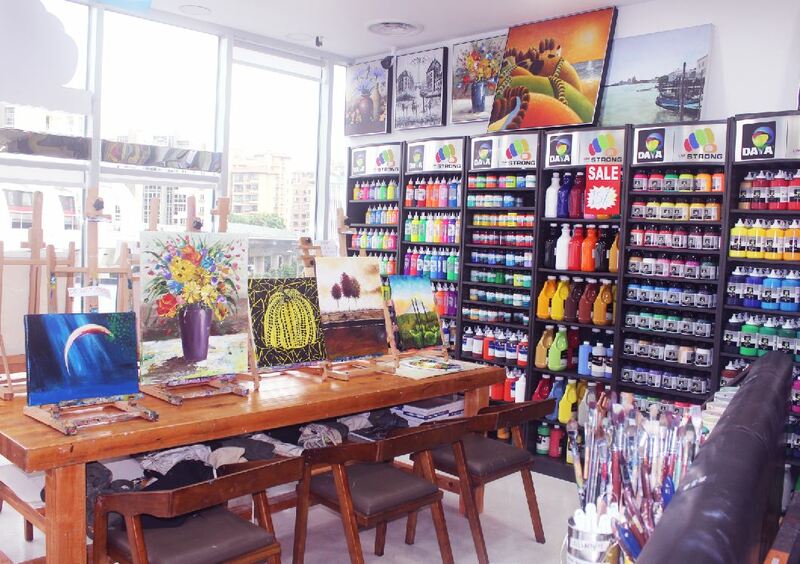 The company's business involves retail of art materials , wholesale, art studio classes and gallery. We have been providing a wide range of fine art & stationery, catering to beginners and professionals. The art studio provides various creative art programs for all ages. while Umistrong Art Gallery offers a wide platform for young artists to display their artwork, allowing them to have a bigger exposure. Today, with its combination of multiple retail and studio formats, we aim to provide various needs and interests of artists from all levels. Umistrong has kept pace with the changing needs of its customers while remaining committed to its social mission and its aspiration to be Singapore's leading art material retailer and art studio with a heart. During the five years, we have attracted a wide and stable customer base, including three Singapore Art Colleges (NAFA, Lasalle and SOTA), government schools (from university to primary school), major art studio & galleries, and local artists. The studio has more than 300 students from children, teenagers to adults of all ages. We have a number of high-quality art teachers. Our programs include oil painting, acrylic painting, watercolor painting, sketching, Chinese ink painting and calligraphy, clay and other art craft class. Our aim is to nurture our students to be creative while giving them strong foundation in painting and sketching techniques. Umistorng art gallery is designed to provide a platform for local artists in Singapore, especially those young artists, to express their creativity and passion through their art works. Young artists from all over the world can hold an exhibition and communicate here. They can sell the painting while the gallery helps to promote excellent artwork to potential buyers. Umistrong will always be a helpful teacher and friend on your journey of art. Established in 2014, Umistrong Art Studio is a professional fine art studio and event organizer located in Singapore. Our aim is to offer creative and high quality art programs for customers of all ages. In our studio, you can find all kinds of painting materials and skills such as oil, acrylic, watercolor, charcoal, graphite, ceramic and so on. All of our team members are professionals from famous art colleges in Singapore and China. You can learn wide range of painting and drawing skills, and learn to create and express yourself through brushes and colors. We can help you to find confidence and make your own masterpiece. Just enjoy the process of art making. Umistrong Pte Ltd has been established for 5 years in Singapore. The company's business involves the retail of art maaterials, wholesale, art studio and gallery. We have been serving fine art & a wide range of stationery materials varies from beginners to professionals. The studio provides various creative art programs for all ages. Umistrong Art Gallery offers a wide platform for young artists to display their artwork. To provide education while making art, excellent customer service and make a difference in people's lives! To enhance people's lives through fun, inspiration, creativity, and self-expression! Today, with a combination of multiple retail and studio formats, we aim to serve varied needs and interests of artists from all levels, Umistrong has kept pace with the changing needs of its customers while remaining committed to its social mission and its aspiration to be Singapore's leading art material retailer and art studio with a heart. thinking for our customers' needs forever. Submit your painting art-work NOW!